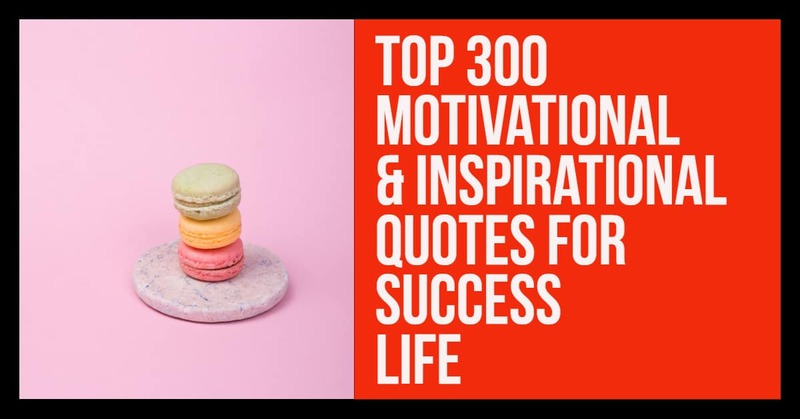 Top 27 Inspirational Life Quotes To Motivate You Every Day “You don’t have to wait for motivation to get started. If you want to work in a consistent way every day then sometimes you just have to get going… Inspirational Quotes About Life and Success. 2) “The pessimist sees difficulty in every opportunity. 3) “Don’t let yesterday take up too much of today.” 4) “You learn more from failure than from success. 6) “If you are working on something that you really care about, you don’t have to be pushed.